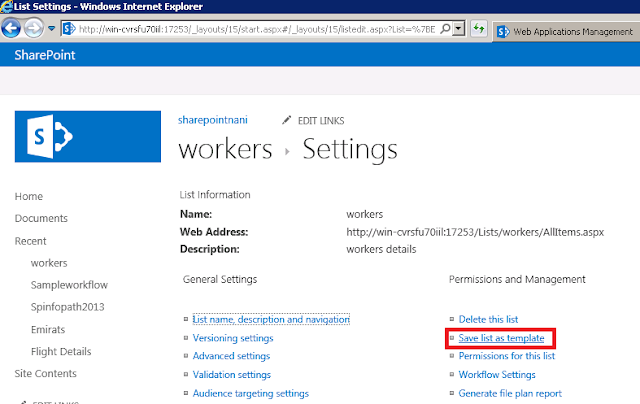 Step 7:To create a list from List template, you need create List template first. To do that go to "List settings" of your list and click on "Save list as template" under Permissions and Management section. 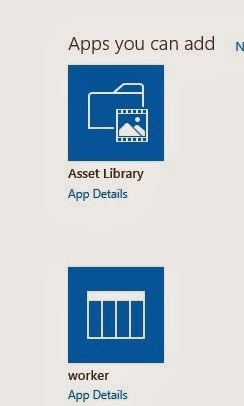 It will open the "Save as Template" section. Step8: enter the File name,Template name and Template Description ,If you want the content also to be included while creating the new list from the template then check "Include Content" check box. Step 9:Once its done list template will get created and it will display the below screen. 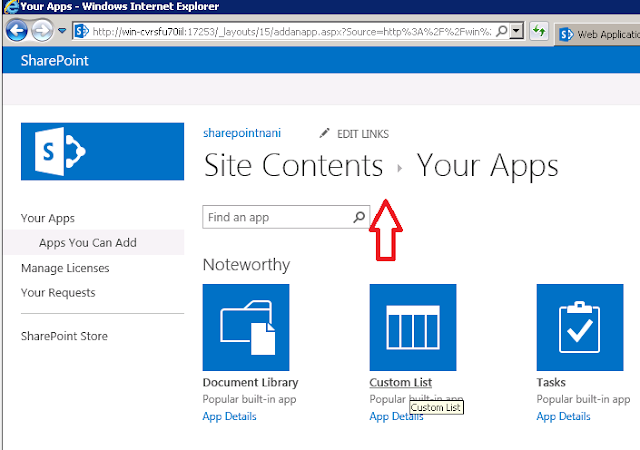 Step 10: Click on "list template gallery". 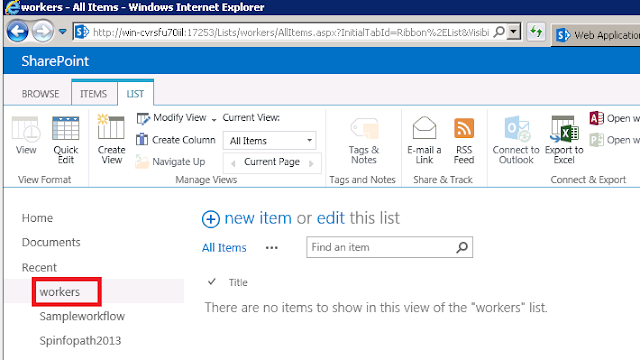 Step 11:Once you click on the "list template gallery" from the above screen it will redirect to the "List Template Gallery" where all your templates get stored. Step 12:To Create a list based on list template which you have created click on "Add an app". 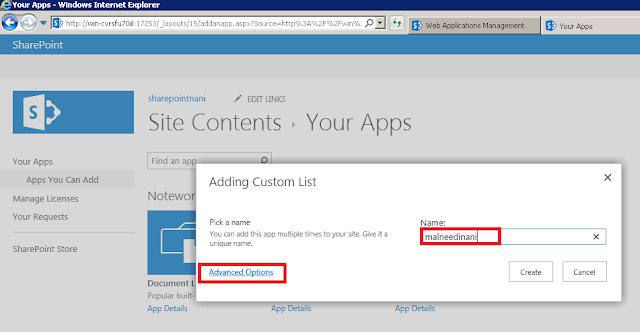 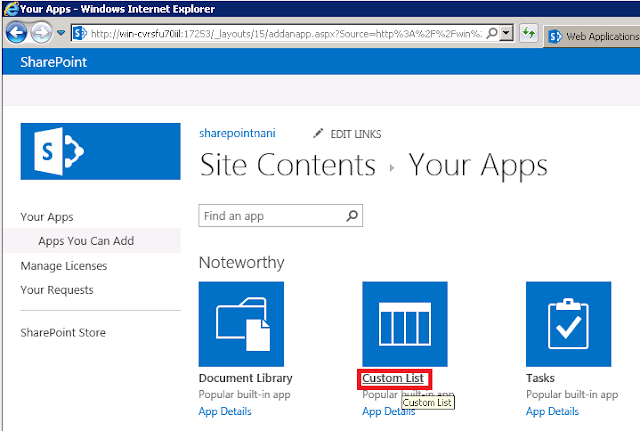 My next post is how to create a site and sub sites in SharePoint 2013 step by step..